I’m extremely proud to have a new piece up over on HerStories Project. Hope you check it out, and also take a gander at all the offerings that site has. The classes are amazing! It might just be my Facebook feed, but it seems the anti-Mother’s Day sentiments are abundant this year: It’s a Hallmark Holiday. It’s forced. It’s cruel to some. It’s insensitive. How dare you? This day is painful for many people. You can’t escape the carnations and brunches and hurt. Not cool enough. Not smart enough. Not interesting enough. Not working enough. Not home enough. Not raising them well enough. Not taking enough “me” time. Not spending enough time with the children. Or the spouse. Or the friends. Not thin enough. Not ignoring societal messages enough. Not listening to them enough. Not original enough. Not pristine enough. Not tough enough. Every day, we are powerful and we are helpless. We make millions of inflight adjustments. We don’t always know what we’re doing. The worry can be overpowering. 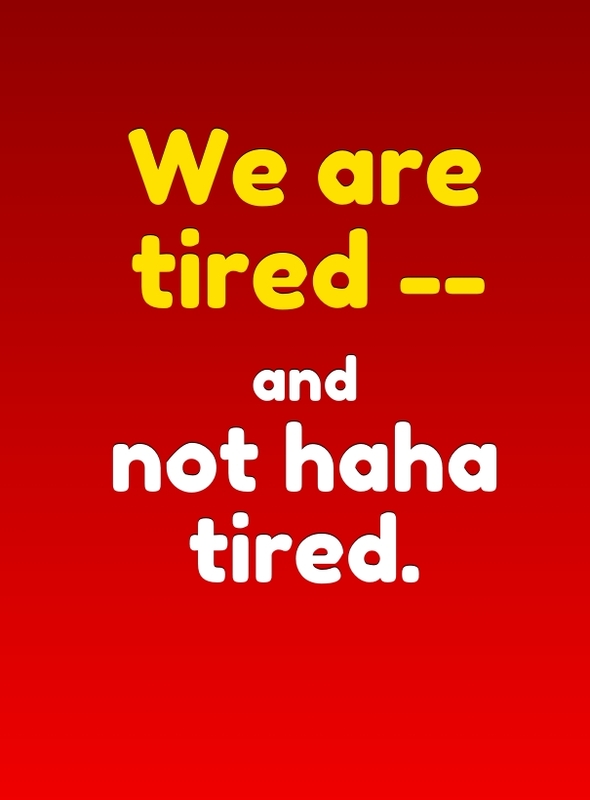 We are tired — and not haha tired. Tired to the bones. We run hard. The mistakes feel immense. The giving is constant. The rewards — the wonderful people we are trying to send into the world and their millions of small joyful moments — are jack-in-the-boxes wrapped in a bow of delayed-gratification. The wrinkles and body aches and TMJ are gifts-with-purchase. And it’s wonderful. And sometimes it’s not as wonderful, even though I’d never trade this for anything. I wanted them (and still do) more than anything in this world. Today, for so many of us, is not about cards or brunch or flowers or some excessively sentimental Normal Rockwell myth. It’s about having all of our mistakes kissed away. It’s about having a few hours where we don’t exactly feel like screw-ups. It’s about seeing our children wanting to celebrate us and our relationship. It’s about feeling that this choice to have and raise children (ours or someone else’s) was a good one and one that does good. It’s about embracing parenthood and childhood and, for a moment, enjoying the relationship without side-eye. It’s about love, which is, going back to my second paragraph, is really all we all want.